This 236,430-square-foot parking structure is located at the former Warner Hollywood site in West Hollywood, now known as The Lot. 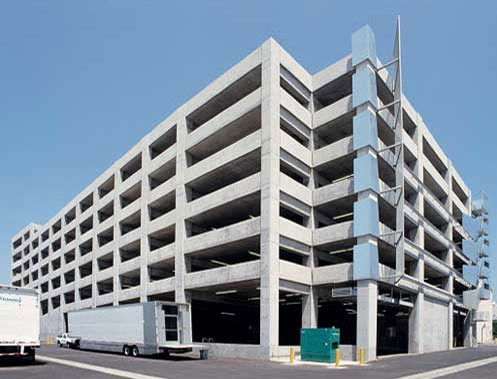 The seven-level post-tensioned, long-span structure for 700 vehicles features unique18-foot heights on the basement and ground floors to accommodate studio sound and lighting trucks and commercial vehicles that need to access the basement below the sound stage and adjacent to the parking structure. The design provides unobstructed thru-view for reasons of light and security by incorporating a sophisticated ductile moment frame and a foundation design consisting of large grade beams to eliminate the need to drive piles near an operating studio.